As consumers, our purchases represent our stamp of approval for the products we buy (and the companies that produce them). When companies or manufacturers fail to put consumer safety first, consumers can make a statement by refusing to buy products from these companies. However, things aren’t always so transparent; many companies are often owned by larger corporations, yet perceived as two separate companies. As a result, many consumers end up accidentally supporting companies they are trying to avoid. 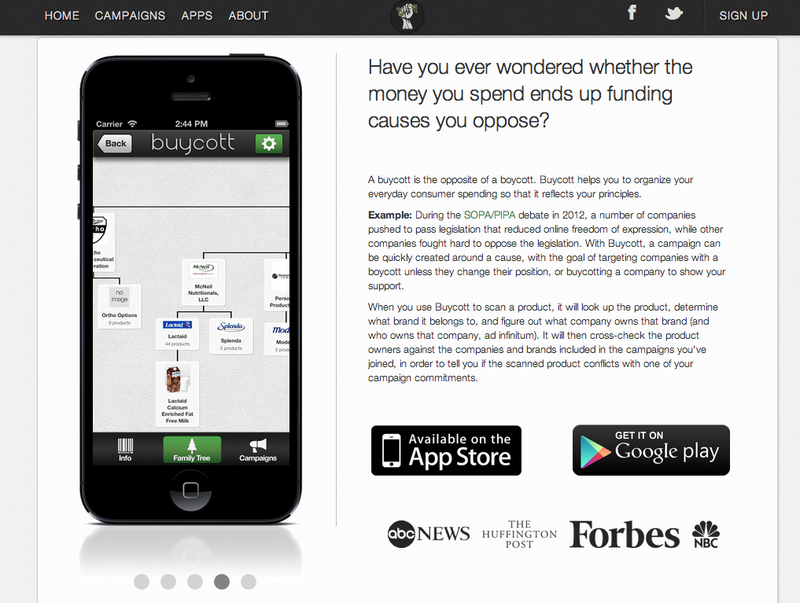 A new app called Buycott aims to solve this problem by mapping out the parent companies and their subsidiaries so consumers can make informed decisions. The app lets you scan an item’s barcode, then gives you a visual “family tree” of that company, and its parent or affiliated companies. You can set alerts for issues you care about like product safety, chemical additives, and even dangerous ingredients. The app will then cross reference your causes with the item you scanned, and tell you whether the product meets all of your criteria or not. The implications of this new app for product manufacturers are immense. Consumers now have a quick and easy way to flex their buying power and make statements about what types of products they want. It also adds a layer of transparency, as large corporations are not as well “hidden” behind their smaller subsidiaries. Ultimately, this app has the power to increase buyer awareness and product safety. To learn more about product liability, or to find a product liability attorney in Las Vegas, contact Simon Law Group at (702) 364-1650 for a free consultation.